Homemade pudding is something that has always intimidated me, but I finally tried it and fell in love! 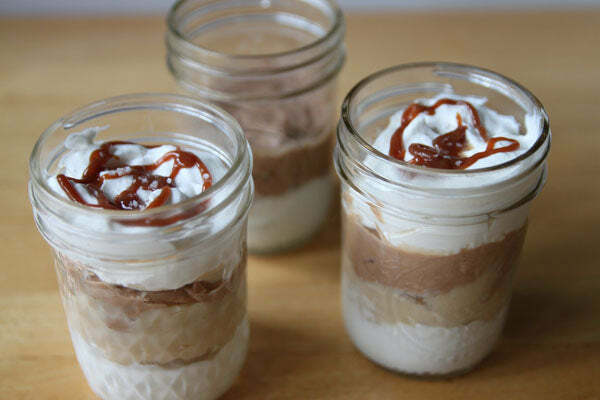 This salted caramel pudding is layered with a fresh vanilla whipped cream and a chocolate and peanut butter whipped cream and sprinkled with salt. If you don’t have single serving dishes, you can layer this mix in one big serving bowl. 1. 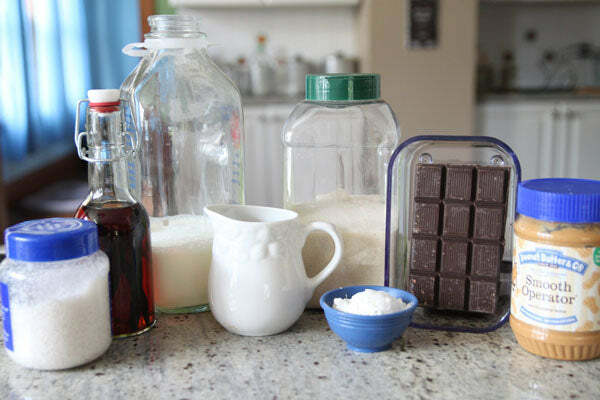 In a medium bowl, mix 1/2 cup of the milk with the cornstarch, salt, and vanilla. Set aside. 2. 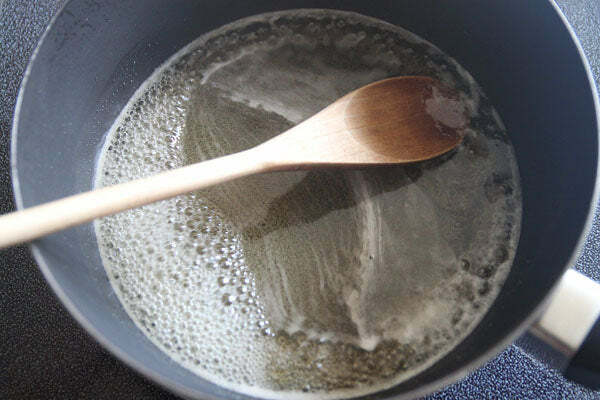 Pour the sugar and water into a medium saucepan and bring the mix to a boil. Cook over moderately high heat, undisturbed, until an amber-colored caramel forms, about 8 minutes. You don’t want to actually stir the caramel, but you can gently swirl the pan to make sure the caramel is cooking evenly. 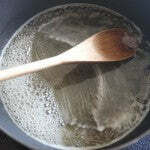 Keep a VERY close eye on the pan, it will turn from light amber to burnt really fast, and you don’t want it to do that. Remove from the heat once it has reached an amber color. 3. Whisk in 1½ cups of milk. As soon as you begin to stir, the caramel will seize with the cold milk. It’s okay! Keep stirring and the caramel will begin to dissolve into the milk as it heats up. 4. 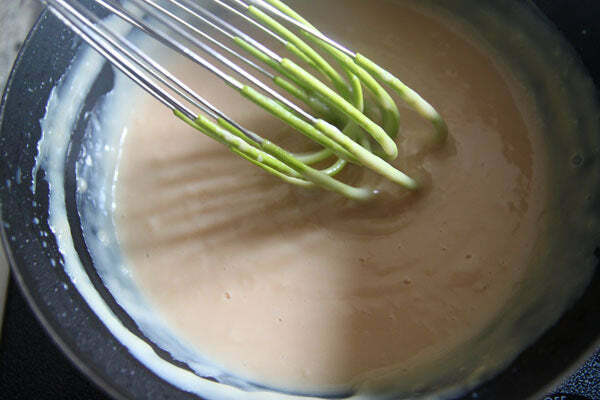 Return the pot to the stove and whisk over moderate heat until the caramel has completely dissolved into the milk. Simmer over moderately low heat until the milk mixture thickens slightly and begins to deepen in color, about 10-12 minutes. 5. 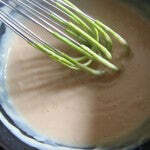 Still over medium-low heat, slowly whisk the cornstarch mixture into the caramel. Cook again over moderate heat, stirring, until the pudding thickens, about 1-2 minutes. It will look a little thin at this point, not like the firm pudding cups you see in the store, but once the pudding cools, it will be thick and creamy. No worries. 6. Scoop the pudding into a large bowl. To avoid a pudding skin press a piece of plastic wrap onto the surface of each pudding dish as it chills. Let the pudding chill for at least an hour. 7. 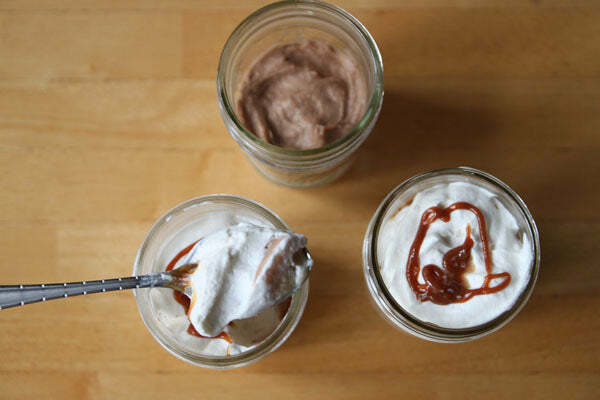 While the pudding is cooling, make the chocolate and peanut butter cream mixtures. 8. 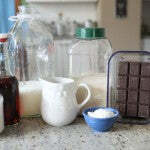 Pour the 2 cups of heavy cream into a large bowl and beat for 3-4 minutes until the cream has begun to thicken. 9. Divide the cream into 2 bowls. 10. Take the 1/2 cup of chocolate and heat in the microwave for 1-2 minutes, stirring every 30 seconds, until the chocolate is melted. Let the chocolate cool for a few minutes until the chocolate is no longer hot to the touch but the chocolate is still liquid. 11. Whip half of the cream with the melted chocolate and the peanut butter, beating until the cream is thickened and holds stiff peaks when you remove the whisk or beater. 12. In the bowl with the second half of the lightly whipped cream, add a teaspoon of vanilla and whip until the cream has thickened and holds stiff peaks. 13. 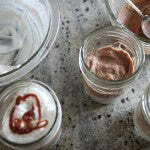 When the pudding is chilled, remove from the fridge and begin layering the parfaits in 4-6 jars or other serving dishes. 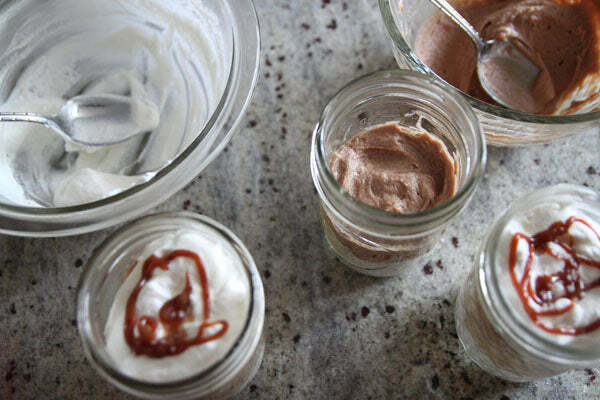 Place a layer of the vanilla cream on the bottom, top with some of the pudding, then the chocolate and peanut butter cream, and more vanilla cream on top. 14. Serve with a drizzle of dulce de leche and a sprinkle of sea salt. 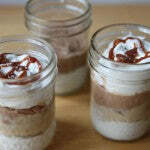 What other layers do you think would go well with these parfaits? Leave a comment below and on Monday, August 6, 2012 we’ll choose a random commenter to win a 16oz jar of Smooth Operator, the peanut butter used in this recipe! US residents only. 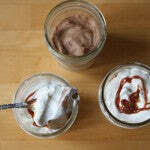 The winner of this contest is Adrianna H.
The post Peanut Butter, Dark Chocolate, and Salted Caramel Layered Mousse Parfaits appeared first on - Peanut Butter & Co. Recipe Blog.